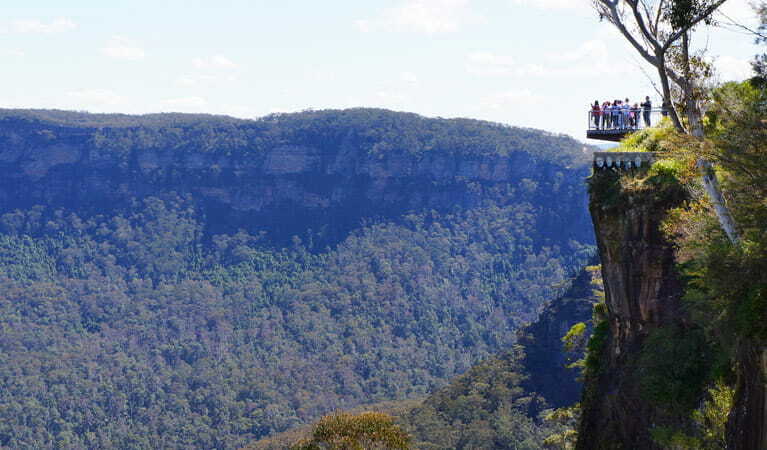 Echo Point lookout is managed by Blue Mountains City Council and is located just outside Blue Mountains National Park. For more information visit the council's visitor centre at Echo Point. For council reserve and track closures visit the website. Please report any incidents or issues at this lookout to the council. Part of the Greater Blue Mountains World Heritage Area, the Three Sisters is an iconic formation that you must see at least once in your lifetime. There are different versions of the Aboriginal story of the Three Sisters, but what you’re bound to agree with is how truly spectacular it is. 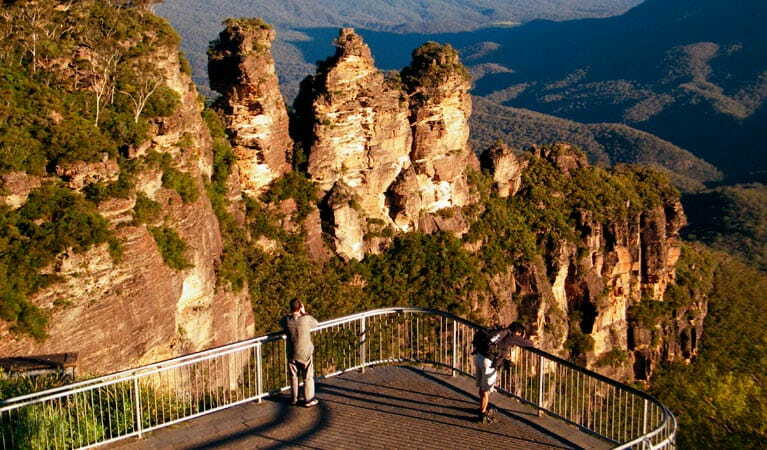 Standing proudly in the land of the Gundungurra and Darug People, the traditional custodians of this declared Aboriginal Place, the imposing Three Sisters is best seen from Echo Point lookout, just outside the national park, on the edge of the plateau above. 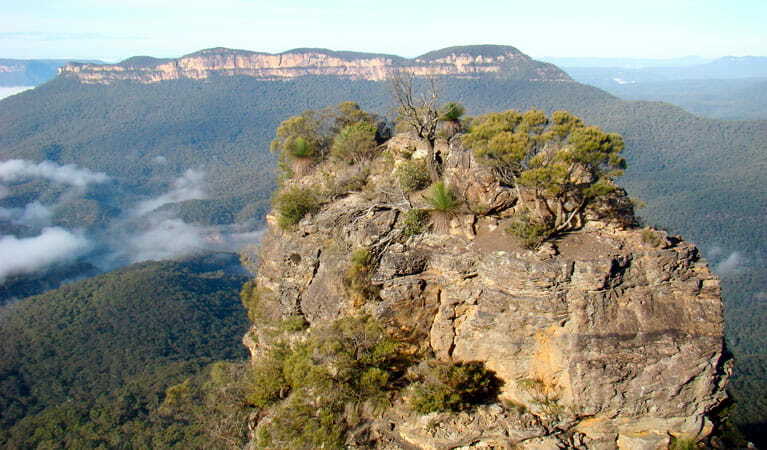 These three weathered sandstone peaks, formed thousands of years ago through erosion, are set among the cliffs of the Jamison Valley. From the lookout, you’ll be able to see the Ruined Castle and Mount Solitary. 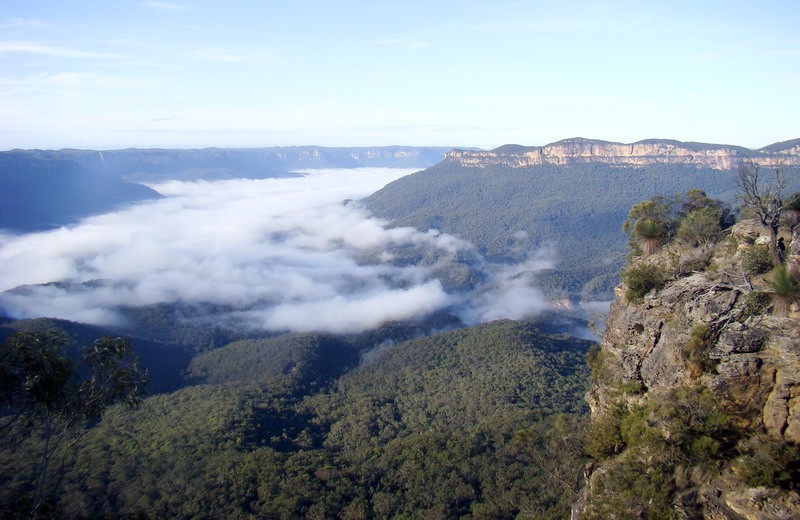 Echo Point lookout is the gateway to many great walks and nature experiences in the area. Take the short Three Sisters walk. 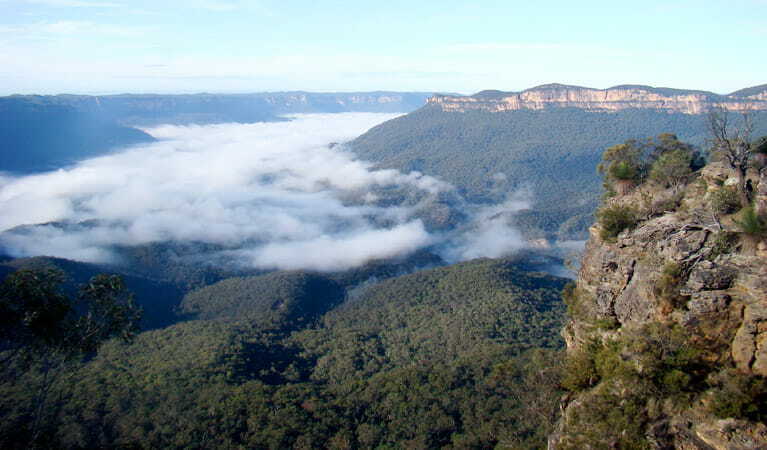 If you have time, Prince Henry Cliff walk connects Echo Point to Leura Cascades and takes you past many scenic lookouts along the cliff edge. Or try going down the Giant Stairway to get to the tracks below the cliffs. 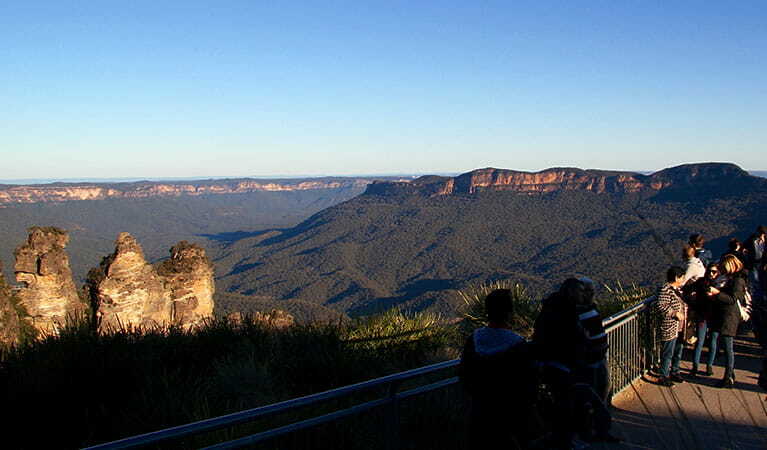 Take a virtual tour of Echo Point lookout and the surrounding Blue Mountains National Park captured with Google Street View Trekker.